Trump has come out calling the Vince Foster “suicide” very “fishy” to say the least. It has long been talked about behind the curtain that Vince Foster was murdered in the White House and his body was then moved to a park to ensure the non-controllable police would not have jurisdiction. The murder was neatly called a suicide claiming Foster was prescribed the anti-depressant medication Trazodone over the phone by his Arkansas doctor, but a small dose that would not have helped. The next day, Foster was found dead in Fort Marcy Park, a federal park in Virginia where jurisdiction could be controlled. Patrick Knowlton is the man who found Foster’s body who disagreed with the “official” facts of Kenneth Star, special government prosecutor investigating the Clintons. Star actually objected to allowing Knowlton’s comments being made as part of any report trying to suppress anything that disagreed with the “official” version. Judge John D. Butzner wrote to Judges Peter Fay and David Sentelle after Knowlton submitted a motion that his comments be included as part of an appendix to the final report. Judge Butzer wrote: “I suspect that if we deny this motion we will be charged as conspirators in the cover-up,” and concluded “I suggest we let the motion and attachments speak for themselves.” Judge Peter Fay argued that Knowlton’ comments completely contradicted “specific factual matters and takes issue with the very basics of the report” filed by Ken Starr who was trying to suppress any evidence that disagreed with his position. Knowlton’s comments were ordered to be included as part of the official report on September 26, 1997. Two days later, Ken Starr filed a motion to appeal that the comments by Knowlton should be stricken. This demonstrated the cover-up and calls into question everything Ken Star really did as a claimed independent counsel besides getting rich on the deal. The very next day, Starr’s motion was denied and Knowlton’s comments were included as part of the final “official” Report on the Death of Vincent W. Foster. FBI Agent Lawrence Monroe had interviewed Patrick Knowlton and falsified the report changing what he told him. Much of the controversy was the fact that Vince Foster’s car was not parked in the lot until after Foster was found dead. Knowlton was there and had not interest in the matter. Starr attempted to cover-up the entire affair because the very man who found the body disagreed with the sloppy clean up of Ken Star to pretend it was a suicide rather than a murder to prevent Foster from spilling the beans. There were strangely no photos of the crime scene. I seriously doubt there is any case in history where a dead body is discovered after World War II without photographs of the crime scene. Recent discovery of further suppressed documents show there was a second wound on Foster’s neck. Then there are questions that the FBI altered the statement of also Lisa Foster claiming she recognized the gun as that belonged to Vince, yet no record of him buying the gun. Then there were reports that Hillary’s aids ransacked Foster’s office telling the FBI to stand down. 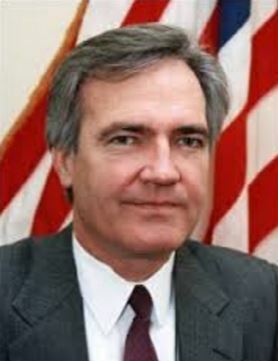 Within hours of the death of Vince Foster in July 1993, chief White House counsel Bernard Nussbaum removed documents, some of them concerning the Whitewater Development Corporation under investigation that Foster was to testify about. These critical documents were removed from Foster’s office and Nussbaum admits he then gave them to Maggie Williams, Chief of Staff to the First Lady Hillary. According to the New York Times, Williams placed the documents in a safe in the White House for five days before turning them over to Hillary’s personal lawyer. Hillary was even subpoenaed over that one. Then just like Hillary’s emails she hid from the State Department, when subpoenaed for billing records from the Rose Law Firm she was at before the White House where Foster also worked, she reported that such records were missing. However, almost two years later, the subpoenaed billing records of the Rose Law Firm were discovered in the Clintons’ private residence in the White House by a staffer. Oops! Mn. Obstruction of justice? This and so many other things have tagged along with Hillary like going to the bathroom and walking out with toilet paper stuck to your shoe. Between the cattle futures scandal to being caught in bed with another woman, emails she deletes claiming they were personal when Bill says he may have sent one email in his life, the list is just endless. If she becomes president, everything is for sale based upon her deals as Secretary of State. The interesting question is why would anyone ever vote for her with so many highly questionable incidents that she never explains? Even when asked for her speeches at Goldman Sachs, she simply says she does not think the people are interested in such things. The email scandal should land her in prison. But she also knows being the presidential candidate gives her the privilege to violate anything for the Democrats are too stupid to see the handwriting on the wall. It is not that the Republican elites are now suddenly agreeing to back Trump, it is Trump is remaking the Republican party and it is out with the old and in with the new. It’s all about corruption and cronieism who get jobs for the twice removed cousin and former mistresses. Hillary represents political corruption simply gone wild. Then we have mainstream media willing to betray their own country for favors.